Roof Leaks are an inevitability, but with a dependable , local, roofing contractor in your neighborhood, you can get that leak repaired quickly. Hialeah Roof Repair works with you and creates a repair strategy that will fit your budget and time frame. From initial Estimate appointment to the job finish, we are there to ensure you have a Roof you can count on and feel safe with. Feel confident when working with a "Top 3" Rated Roofing Contractor in South Florida. We are a reputable company with longstanding roots in Miami Lakes and the surrounding area. We have done thousands of Roof replacements and Roof repairs in Miami Lakes, Hialeah and most of South Florida. We know the area and know what your concerns are related to keeping your family safe and dry with a sound roofing structure on your home. 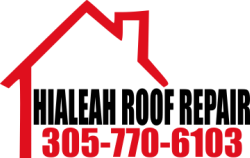 Let Hialeah Roof repair protect your home with a Quality Roof. Our materials and staff are second to none. We provide the best customer service in the area. You call, we Answer. Check out our Reviews. We can provide you with an estimate within 24 hours in 99% of the time, and get started immediately. 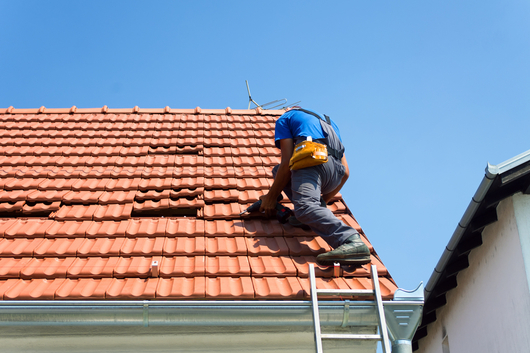 We know that time is of the essence when your roof is compromised. The longer your roof waits to be repaired the larger the bill in the end. Don't let that repair go unattended, risking increased water and pest damage. If you have concerns regarding your Homeowners Insurance or Tax implications, talk to our Customer Service agents, they have knowledge in the latest updates on Insurance Industry changes and what requirements go along with them. Hialeah Roof Repair is in the know on local codes for materials and process compliance. Our Materials lists are carefully thought out and managed to comply with State and Local Mandates. We're ready to work with you. Give us a Call Today!